Monterey is a waterfront community located in Monterey County, along the southern edge of Monterey Bay on Central California's Pacific coast. Many historic firsts occurred in Monterey, including California's first brick house, its first theatre, its first publicly funded school, the first public library and the state's first printing press, which printed The Californian. Some of Monterey's common tourist attractions include the Monterey Bay Aquarium, Cannery Row, and Fisherman's Wharf. Monterey is a quiet community that offers year-round good weather and a plethora of activities to engage in such as kayaking, scuba diving and beach-going. Tourists and residents also enjoy golfing, shopping and taking in the breathtaking views of the Big Sur coastline. Whether you want to settle down and start a family or are approaching retirement, Monterey is the perfect place to get started. At The Law Offices of Jack S. Johal, our founding attorney Jack S. Johal has over 30 years of experience helping people establish effective estate plans and a lasting legacy for future generations. Since probate procedures are tied into estate planning, he also guides executors and administrators through the probate process. 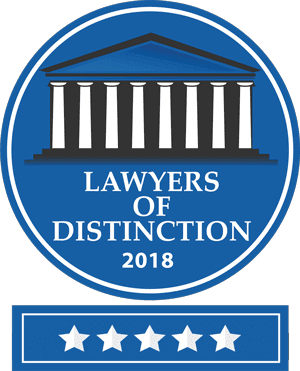 He is AV Preeminent® Rated by Martindale-Hubbell® Law Directory, the highest rating an attorney can receive for ethical conduct and legal ability. He has a 10.0 Superb Avvo Rating. He has more than 30 years of experience. He has an LL.M. in taxation. He is the proud recipient of the Five Star Wealth Award for four consecutive years. Estate planning, probate, trust administration, business law and real estate are frequently interconnected. Attorney Jack S. Johal has extensive experience with all of these aspects of law and therefore can provide valuable insight into how these areas play upon each other. Whether you need assistance creating an advanced estate plan, or setting up a special needs trust for a disabled son or daughter, or forming a business entity, or preparing federal estate tax returns, or reviewing a real estate contract, he has the knowledge and experience to find the most cost-effective, workable solutions for the matter at hand. When you're entrusting your future into the hands of an attorney, you're going to want someone who has an excellent reputation and the experience to get the job done professionally and competently, which is exactly what you can expect from attorney Johal. Contact The Law Offices of Jack S. Johal today for a free consultation by calling (916) 229-8027!